Pending home sales rose 1.6 percent compared to last year and reached their highest level for any October since 2004. 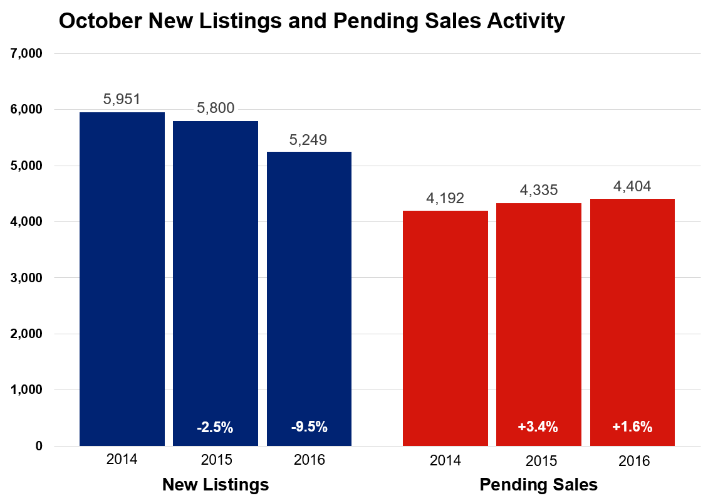 Sellers listed 5,249 for-sale properties on the market, 9.5 percent fewer than last October. Closed sales increased 0.8 percent to 4,791. That closed sales figure is between 2004 and 2005 levels. Although home prices have reached their seasonal peak for 2016, the median sales price increased 6.5 percent from last year to $230,000. Buyers are still frustrated by a lack of options. 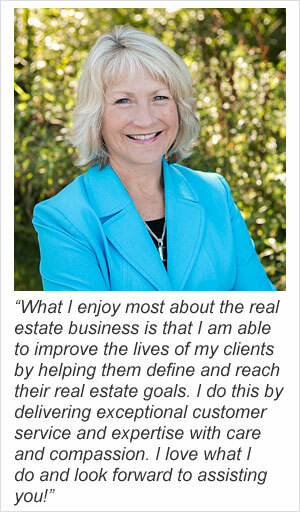 Inventory levels fell 19.0 percent to 12,625 active properties. Additional listings are needed to ease the current supply shortage—especially at the entry-level and first-time buyer price points. Multiple bids on attractive listings are common in low inventory environments, and homes tend to sell quickly. Days on market until sale fell 14.3 percent to 60 days. The average percent of original list price received at sale was 96.9 percent, 0.8 percent higher than last year. But the median percent of current list price received is 99.6 percent, the highest level since 2005. Months supply of inventory fell 24.2 percent to 2.5 months—the lowest October figure on record since the beginning of 2003. This indicator measures the balance between supply and demand in the marketplace. Generally, five to six months of supply is considered a balanced market. Less than that indicates a seller’s market. The strongest sales activity over the last 12 months is in the $190,000 to $250,000 range, followed by the $250,000 to $350,000 range. Although single family sales dominate the Twin Cities market by number, condo and townhome sales witnessed the largest year-over-year sales increase. Similarly, while previously-owned properties make up the largest share of sales, newly constructed properties had a stronger year-over-year gain. A healthy Twin Cities labor market has been conducive to housing recovery. The most recent national unemployment rate is 4.9 percent, though it’s a healthier 3.3 percent locally. The Minneapolis-St. Paul-Bloomington metropolitan area has the fourth lowest unemployment rate of any major metro area. Locally, the 30-year fixed mortgage rate stands at 3.55 percent compared to a long-term average of about 8.0 percent. Rates are still near their lowest levels in three years. Marginally higher rates were widely expected in 2016, but the Federal Reserve hasn’t moved rates since last December. Even though the Fed was widely expected to raise rates this December, market volatility could change that.